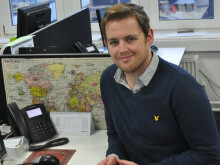 Postgraduate study opens up a wide range of career paths for students. For those with a keen interest in academic research and the impact it can have on the world around us, a PhD is an obvious choice. Kara Danks, current Northumbria University PhD student, talks about how her Master’s helped to take her research career to the next level. 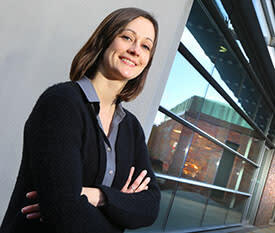 Northumbria graduate Kara Danks developed a range of skills during her postgraduate course and working career that prepared her for PhD level study. Her Criminology PhD explores the benefits of peer to peer support in prisons to improve health outcomes linked to smoking, diet and exercise. Kara, originally from Stockton, Teesside, was a Probation Officer in London after studying midwifery at Northumbria, and then Criminal Justice with a Diploma in Probation Studies at the University of Hertfordshire. She moved back to the North East in 2010 to be closer to friends and family. Following a period of time leading a team that provided independent NHS complaints advocacy, Kara decided to take on further study and pursue a Masters in Psychology. She has consequently embarked on a PhD in Criminology where she aims to use her knowledge to improve systems in Her Majesty’s Prison Service. Kara’s passion for Psychology encouraged her to enrol onto the Masters programme. She said: “I applied to study a Masters in Psychology at Northumbria University because there was a lot of synergy with the probation work I had done previously, particularly around offender management and one-to-one case work. “It was during the professional development week of my Masters that I started considering further study. Professors came in and spoke to us about their research proposals and how to create a successful PhD pitch. I really didn’t think a PhD was something I could do, but the Masters gave me the confidence to get to where I am now. Kara’s PhD is collaboratively funded by Northumbria University and NHS England (Health & Justice NE) and focuses on prisoner health. As part of her work, Kara is currently looking at an existing health care initiative in the community and considering how it can be developed for use within the prison environment to create a positive impact on health. The programme Kara identified was a peer-to-peer support programme that the government is currently using to improve health in wider communities. Kara added: “I feel very lucky to have somewhere like Northumbria on my doorstep, my postgraduate studies have been extremely rewarding. My PhD supervisor, Wendy Dyer was a particular inspiration when I was applying for my PhD. 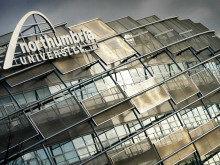 To find out more about postgraduate study at Northumbria, click here. Do you want to enhance your job prospects, take your career in another direction or gain a greater understanding of a subject you love? Students past and present are invited to attend Northumbria University’s ‘Masters Open Days’ to explore how a postgraduate qualification can help you do just that. Leading academics from Northumbria University will speak alongside former Formula 1 racing driver Damon Hill OBE, Harriet Harman MP and former health minister Edwina Currie among others at BBC 3’s Free Thinking Festival 2017. Northumbria University is helping graduates enhance their future careers by removing the financial barriers for EU students to study Masters courses.